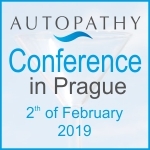 Actually, I was quite surprised when I received on the 10th of January 2018 an email inviting me to the Conference on Autopathy on the 27th of January. Surprised, because since years I have been healthy, fit and happy and the last time I applied autopathy was many months ago as a form of prevention, when I felt a slight indication that in the area of my lumbar spine something may be starting making problems again. It worked wonderfully. While reading the invitation, I realized that I have actually never loudly expressed my thanks for the discovery and the dissemination of autopathy and I became aware of the fact that we people do not treasure our happy lives without pain and suffering very much, until “something” happens. This „something“ had happened in my life (perhaps for the last time) a few years ago. From one moment to another I simply stopped walking. Sharp pain, which had spread in the area of the lumbar spine did not allow even the smallest movement, I have not even had the strength to scream from pain. I remained lying crimpled on the floor, silently swallowed my tears and began to realize that life in a healthy body is the greatest gift. No, it was not that I would have lifted a heavy object, no, I had not made a sudden movement, nor I do not say no to sports. I love the sun and the water, I love to go for walks in the nature, in the winter I enjoy skiing on ski slopes and on snow-covered plains. This “event” happened in our fenceless house in a hamlet near the mountains, far from civilization. I was alone at home doing my usual administrative work, naturally behind closed doors. My son with his friends came quickly from Prague and had broken the door down so that the obliging ambulancemen could carry me to the ambulance. The morphine injection was a bliss, it was perhaps to prevent a stroke from the pain during the transport. Today, I can laugh at it, but I am richer by an experience how a normal patient was treated in “that hospital”. How, in my condition of not being able to move, an A4 board with a sheet of paper was put in front of me on the bed cover and how the nurse pointed to it and shouted: ‘Sign here!’ and how I, pop-eyed and momentarily happy that without moving I am almost pain-free for a few seconds, had asked her shakily, if I am allowed to read it first. This nurse was not happy at all, perhaps she was very much overworked and for sure did not know autopathy, and so my question had brought her to boil. She turned on her heels and before she slammed the doors behind her, she roared: ‘Read it then!’. I apologise even now, not only that since many decades I have not been eating any pharmaceuticals and that since childhood, except for two exceptional incidents, I have always been healthy, and I also apologise for being formed by my profession and thus cannot accept the usual reasoning of the servants of the mainstream system that so it has always been, that it bothers no one, that I should not make problems and that no one wants to hear it here. I am a lawyer. In the document I was informed that with my signature I certify that I was informed by the physician about the diagnosis and that the proposed treatment had been explained to me and that I am signing that I agree with this treatment. Of course (perhaps if has been always done this way), no one informed me about the diagnosis, nor the proposed treatment. When I was transported, some young woman poked in my legs if I have feeling in them, and if (this I have learned later from the doctors I know) an immediate spine surgery is not necessary. Nothing else. No time for speaking with the person. I cannot say today what had suffered the most – my body in the area of the sacral triangle (meant esoterically in terms of relationships) or my soul weighed down by helplessness and the unavoidable subordination to the system in which there is no place, nor time for humanity and sensitivity. I thank heaven that after signing a disagreement with the treatment in “that hospital” my son could bring me back to Prague. I thank heaven that one exceptionally sensitive physician with his physiotherapist colleagues has “per chance” his rehabilitation praxis for cases similar to mine a few steps from my home in Manesova Street at Prague’s Vinohrady. But I felt that it is not enough to exercise the body. I do not take any pharmaceuticals since about thirty years ago, when I, then a mother of two small children, escaped by hair to the dangerous threats of a lung tumour. Since this time, I hear to the small voice coming from below my breastbone and have no doubt that this small voice leads me against my fear on the right way, although sometime it does not seem rational. Since this time, I do not let anyone take from me my repeatedly tested experience that illness is a precious information how we treat our soul and our body. I know now that we have to comply with this little voice from our centre, or it will quietly and without battle teach us humility through illness. I have learned on various levels what is Hexenschuss – a witches’ shot, acute lower back pain, lumbago. I trained with the therapist thoroughly and regularly but did not accept the information that ‘I will probably always be weak in that area’. And so in the period of awakening from the terrible experience in “that hospital” I learned through a genial coincidence that there is something new, autopathy, and below my breastbone the sun came out and my cunning head humbly accepted that I need autopathy more than the hospital right now. This genial update of the vessels, called by the Buddhist monks kundikas in the past. And so autopathy with breath and later also with prana became a regular sweet addiction for me. 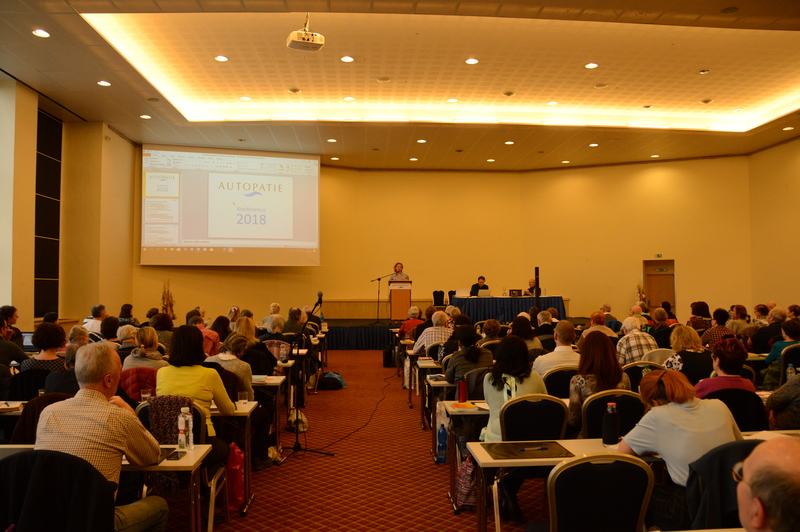 I have no doubt that it is thanks to autopathy that in spite of my advanced age, my lower back is in good condition, I like to do fitness training, go skiing and swimming and without any problems lift and cradle my four grandchildren, although some of them already weigh a lot! The burden on my lower back and also on my mind had disappeared! A person, who is still able to feel like a human being, has surely earned to live with his/her pure thoughts in freedom, happiness and health. That is why I thank you, dear Mr. Cehovsky, I thank you all, who have been supporting autopathy.